With the new year comes a great opportunity to start off with a refreshed and inspired mindset. Whether you are a marketer, starting up a new business, or just trying to figure out the next steps of your career, we can all use a little motivation every now and then. Here are three must-watch Ted Talks to keep your year going strong. Scott Dinsmore is the founder of Live Your Legend and has a mission to help people find their passion in life. In this Ted Talk, Dinsmore inspires you to do work that you love. By changing who you surround yourself with and becoming a self-expert with his three-step framework, you can start to do work that embodies who you are. When you need a pick-me-up, watch this Ted Talk and get motivated to focus more on your passion. Everyone has some sort of stress in their lives, but the difference is how we respond to it. 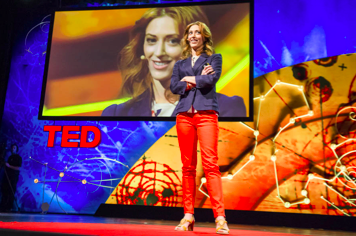 Kelly McGonigal is a health psychologist that has a new view on stress and its effect on the human body. McGonigal shows that with the right mindset, stress can strengthen your health and relationship with others. Instead of seeing stress as a danger, she urges you to see it as an energizer that pumps your heart to better prepare you for your next challenge. No matter how big or small the stress in your life is, this Ted Talk will show you how to utilize it to your advantage. Simon Sinek discusses a simple yet key factor of success that, by many people, goes unnoticed. Using what he calls “the golden circle”, he shows us the importance of thinking from the inside out. Sinek explains how starting with one’s belief for a product or idea (the why) rather than the product itself (the what) can make all the difference. Next time you feel like you are losing sight of your cause, watch this Ted Talk to inspire you to rediscover your root values.